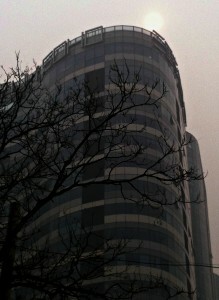 « Day 267 in Beijing: Gargo Lift. So, the annual airpocalyse has begun. 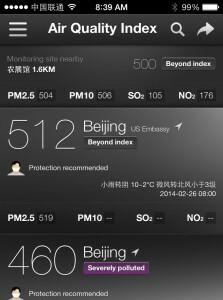 The air quality is truly disgusting in Beijing. It has been that way for about 5 days, non-stop. The air tastes of coal and the sky is a dead grey. It is also abnormally hot and sticky. If you don’t believe in global warming and the effects humman made pollution has on the environment, I welcome you to come visit me and see how temperatures get incredibly hot under a cover of smog and pollution. Evidence is evidence and facts are facts. The sun has disappeared into the haze and strains mighty to break through. It fails each and every time. The coal burning factories win quite easily over the power of the sun. Jill and I bought Vogmasks yesterday since we’ve been inside the rest of the week and knew we’d be going out a lot more and were afraid of what would happen to our health. Interestingly enough, Vogmasks were originally invented for The Playa at Burning Man. 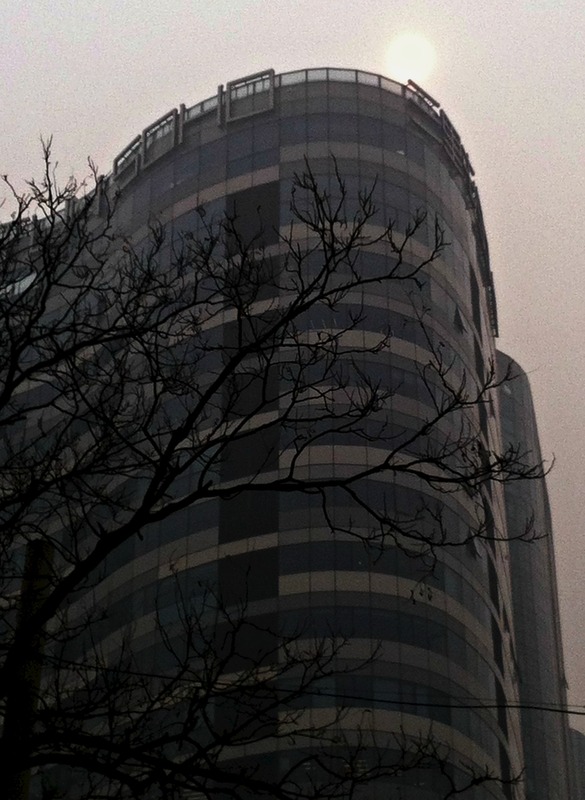 People realized how wonderfully helpful they were and started buying them like mad over in China because of the dangerous pollution levels during the winter. Even with the masks on we feel headaches and feel weaker than normal. I can’t imagine how we’d feel without them because they really work incredibly well. The worst I’ve seen since I’ve been here. It feels like you are walking through a blanket of smoke. I worked out in my gym today, which has an air purifier, and felt dizzy a few times. I was only lifting weights. There is no way I’ll be running or doing any cardio until this passes. And when will it pass? What truly terrifies me is seeing how many children are walking around without masks on and people that continue to smoke and breathe this putrid air. 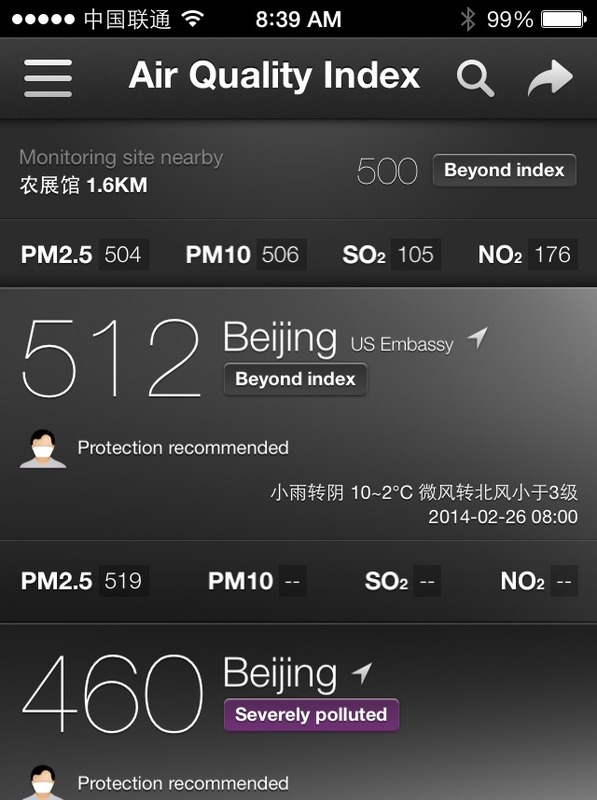 It is one of the main reasons so many expatriates are leaving Beijing, and China, and heading home or taking positions in other countries that aren’t as polluted. It takes a toll on your health and your peace of mind. However, this too shall pass.